As a business owner or professional we benefit from meeting others and expanding our connections. Yet it can be a challenge to start a conversation with a stranger at a business networking event. This is one of the primary reasons many people find networking an uncomfortable experience. Confidence and the ability to make conversation has a lot to do with it. I know from experience that networking is a learned skill, just like learning to climb a fence or ride a bike as a child, we need to learn strategies to create and have conversations that provide opportunities for relationships to develop. These three tips are a good start to improving your networking results and developing the conections adn confidence you need. When we learn anything new, we need to take some risks, step out of our comfort zone and practice. We get better and more confident over time. As the saying goes “Practice makes perfect”. The ability to confidently connect is the same. To connect with confidence, good communication skills are a must. Words, tone, delivery, body language and of course context and setting play a big part. Conflict arises when these are not managed well. No matter what the setting, how you communicate influences the outcome. Role-playing conversations helps boost your confidence making it easier to adjust to new circumstances and environments. 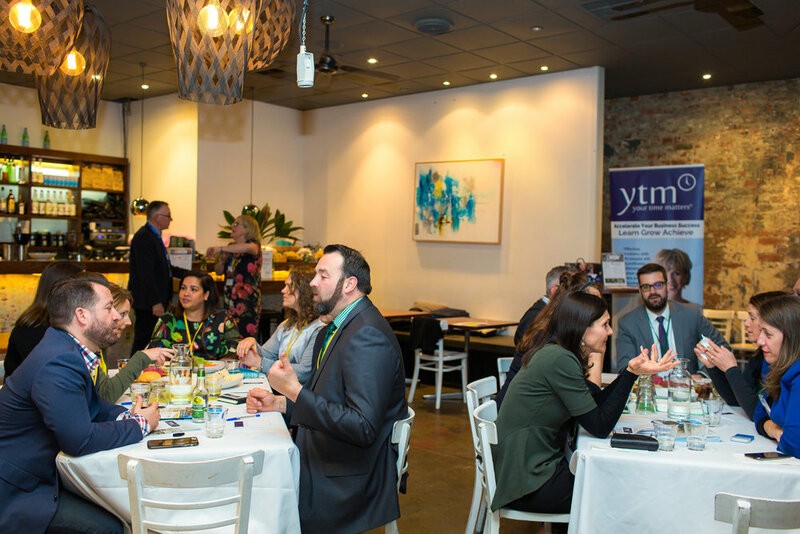 At YTM Connect with Confidence events, our participants have the opportunity, in a safe and friendly environment to answer impromptu questions which allow you to provide insight into you and your business. The questions give you the chance to refine, rehearse, practice and become more comfortable and confident then talking with others about your business. To be able to connect you need to understand the five typical styles of communication and spend some time identifying your style and how it may effect others. I have highlighted the key points defined by the Australian Psychological Society. I recommend you read the article in its entirety. · Associated with high self-esteem and the confidence to communicate without playing games or manipulation. · Delivered usually with a medium pitch, speed, and volume. · Good eye contact, and relaxed, open posture is displayed. No fidgeting. The most effective communication style. · Focus on winning even if at the other person’s expense. · The behaviour suggests they have more rights than others. · Not a healthy way to communicate. · The behaviour appears to be passive, but is actually an indirect act of anger. · Subtle aggression and sarcasm is displayed, and the person is not usually reliable. · Inconsistent - pleasant to your face but not behind your back. · People-pleasing and conflict avoidance. And not always apparent to others what they want. · Driven by influencing and controlling others for their own gain. · Elicits sympathy and an obligation to help from others. · Can display patronising, ingratiating, envious behaviour, and often communicates in a high-pitched voice. When you ask the right questions , conversations will start to flow. If you listen carefully to the responses a deeper and more meaningful conversation evolves. This helps you build confidence, and in time you will find it easier to develop a relationship and seek out opportunities, generate leads and find others to collaborate and joint venture with. Recently, a "newbie" who I had connected with online, arrived at one of our events. Reluctantly, she entered the room, unsure of what to expect. My husband welcomed her warmly and introduced her to a few of the other attendees. Nervously she thrust herself into conversation, even though out of her comfort zone. She shared that her business was in start-up phase and that networking was a new thing and she was nervous. Encouraged by the warm welcome and the fun and effective structure, she settled into the evening’s conversation and enjoyed the insight from our guest presenter. We exchanged experiences and knowledge. In return, she opened our eyes to situations foreign to our own. She asked questions to seek feedback on her business model and appeared to enjoy the event. By taking small steps and reaching out to others, we build our confidence. This can make all the difference, personally and professionally. Have you any tips, you can share on how you developed your confidence? Sharing knowledge and experience is a key benefit of networking. Refine, practice and talk more confidently about your business with others. If you would like to improve your ability to have conversations at business events, why not join us at YTM and practice with likeminded others. Alternatively, we offer 1:1 or small group workshops to improve techniques, give you strategies and role play scenarios so you can Connect with Confidence.